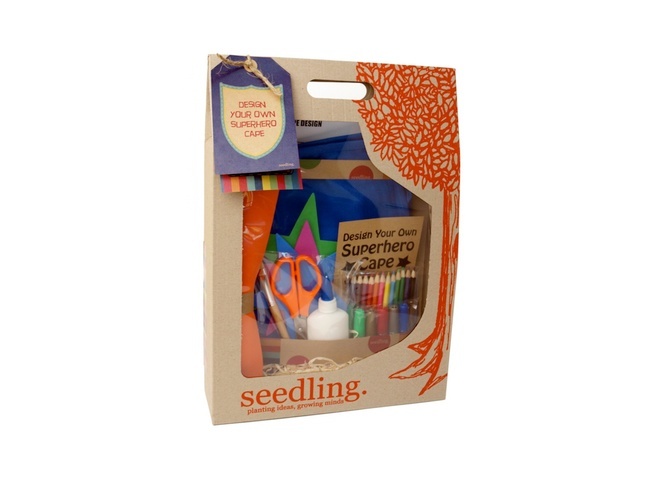 The latest collection of DIY kits from Seedling provide all the inspiration, instruction and materials for kids to create their own toys. Perfect summer activities! 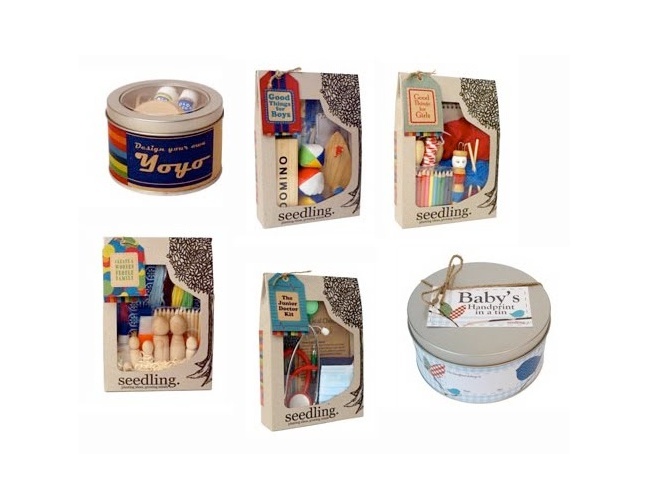 The kits and toys from Seedling are designed to kickstart the natural process of creativity in your child. They simply provide the materials, leaving it up to the child to supply the ideas. The quality of the materials they provide is surprisingly good, far better than the craft kits typically found in the big box stores. Build and create your own optical prism with endless possibilities! Kit contains cardboard tubes, plastic mirror pieces, assorted beads, rhinestones, adhesive paper, foil confetti pieces, craft glue & instructions. Recommended for children age 4-10 years. Make your own doll, ready for any adventure. 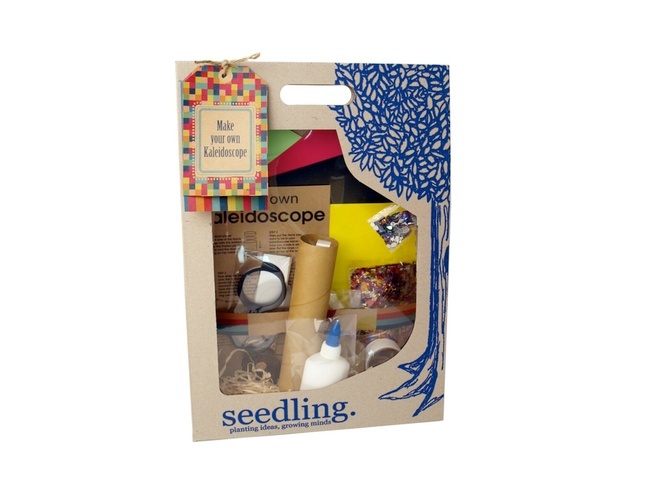 Kit contains a cotton doll, embroidery thread, assorted fabrics, acrylic yarn, felt pieces, sewing needles & instructions. Recommended for children age 4-10 years. Create a family out of wooden dolls! 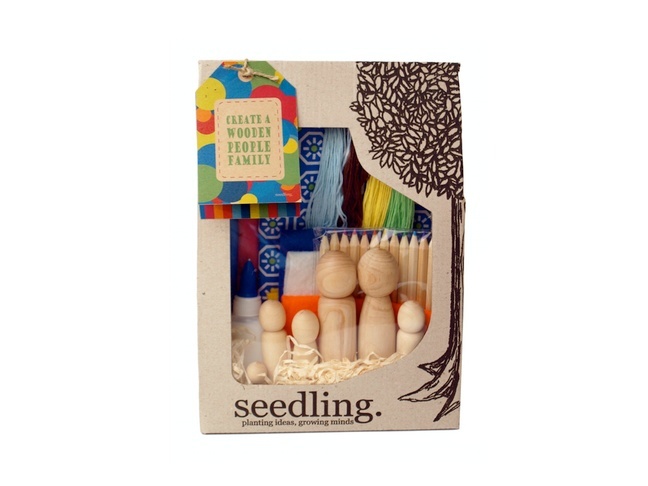 Kit contains a wooden doll family, colored pencils, felt pieces, fabric, craft glue and thread. Recommended for children age 4-10 years. 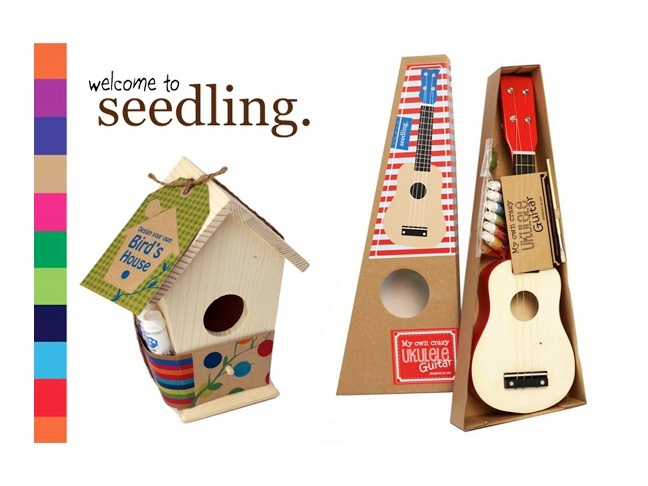 Visit Seedling’s website to view more great kits!